Postcard FI-2342261 from Finland shows an illustration of Tove Marika Jansson (August 9, 1914 – June 27, 2001), a Swedish-speaking Finnish author and illustrator from Moominppapa at Sea. With her first book of the semi-autobiographical Bildhuggarens dotter (Sculptor's Daughter) in 1968, she had published six novels and five books of short stories for adults. However, in the PostCrossing world, she is best known for the Moomin cards with illustrations from her Moomin books for children. The first Moomin book The Moomins and the Great Flood was published in 1945. However, it wasn't until the next two books, Comet in Moominland (1946) and Finn Family Moomintroll (1948), when Moomins gained a great deal of popularity. Moomins had lived in Moominvalley for a while, until the family decided that they needed a change and moved to a lighthouse on a tiny island. 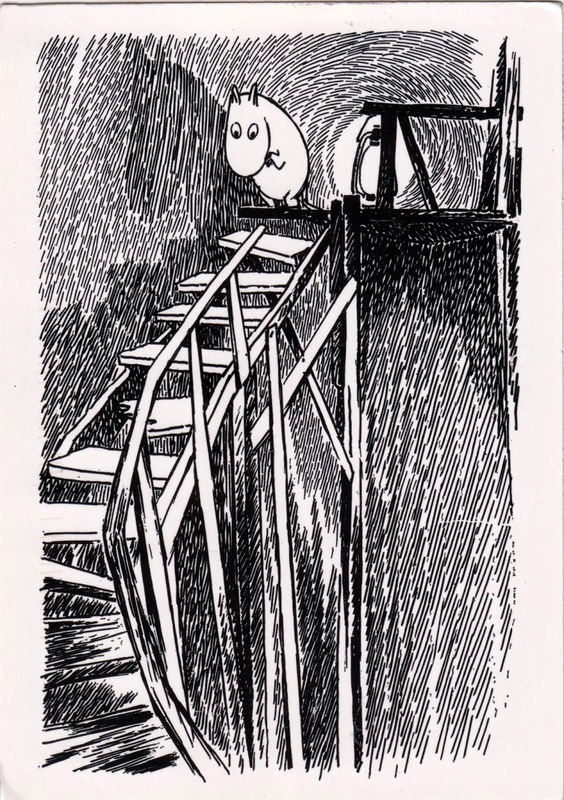 In this Volume 7 of Moomins, "they find space to grow, and to do things they couldn't in their comfortable, cluttered valley home. As they discover their new home, the family also discover surprising, and wonderfully funny, new things about themselves." Tove Jansson won the Hans Christian Andersen Medal in 1966 for her contribution as a children's writer.